The safety and well-being of the children in our care is our top priority. Starting June 1st, the Y implemented Test, Mark & Protect at all of its pools for rental groups and open/family swim times. Every child is given a swimtest and then issued a brightly colored breakaway necklace to help identify them as non-swimmer (red), beginning swimmer (yellow) or swimmer allowed in the deep end (green). 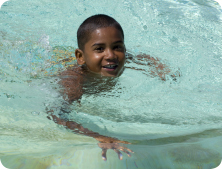 With the use of the brightly colored breakaway necklaces, lifeguards and other Y staff can tell at a glance whether the swimmers under their protection are in the area of the pool best suited for their abilities. Information about the Y's swimming programs, along with pool schedules for each location, is available on our website. 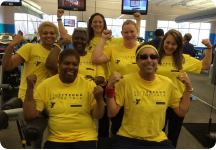 A recent randomized-control study on the LIVESTRONG at the YMCA program showed participants in the program exhibited improvements in physical activity, fitness and quality of life measures. The study, conducted jointly by the Yale Cancer Center and Dana-Farber Cancer Institute, was presented at the 2015 American Society of Clinical Oncology annual meeting. The participants had been diagnosed with Stages I-IV of cancer, of which 50% had breast cancer. Most had been inactive at the start of the study. Our West Roxbury and Charles River YMCAs were two of the five sites included in this study. Results showed that participants experienced significant increases in physical activity versus the control group, with 75% exercising at least 150 minutes per week versus only 25% of the control group. Participants also showed improvements in both overall fitness - as measured by a 6 minute walk test - and quality of life measures. Visit our website to learn more about LIVESTRONG at the YMCA in the Greater Boston area, or to help cancer survivors live a better life. Congratulations to Senior Vice President of Operations Harold Sparrow, who was recently named President & CEO of the YMCA of Greater Hartford. 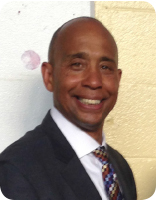 Harold has held several positions during his 14-year tenure with the YMCA of Greater Boston. His commitment to addressing health care disparities and his leadership on the Y’s Teen Agenda will have lasting impacts on our work in the Greater Boston community. Harold will begin his work in Hartford next month. 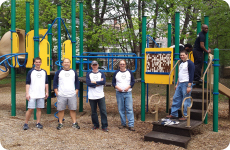 Liberty Mutual employees nationwide volunteered during the week of May 4th as part of Serve with Liberty, an annual week-long event in which Liberty Mutual employees volunteer their time and effort to helping non-profit organizations. The YMCA of Greater Boston was fortunate to have 100 Liberty Mutual employees volunteer at 13 different sites, totaling approximately 400 hours of service. Their work included reading to preschoolers, serving as classroom aides, and camp cleanup. Serve with Liberty is an integral part of the YMCA’s annual calendar as it helps bring people together to support our facilities and programs. The YMCA would like to thank Liberty Mutual and all of the volunteers for making this year’s Serve with Liberty a success. 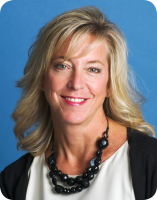 We are proud to announce that Irene Collins, Executive Director of the Burbank YMCA, has been appointed to the state's Early Education and Care Advisory Council by House Minority Leader Bradley H. Jones, Jr. The Advisory Council will work closely with the Department of Early Education and Care (EEC) to design five-year goals for the state’s EEC programs. The YMCA of Greater Boston operates many early education afterschool programs licensed by EEC. The Y continually works with the state to ensure high quality care and support for these important programs. This year, the Roxbury YMCA is one of 26 youth organizations participating in the steering committee of Youth Lead the Change. This is a youth participatory budgeting process which allows teens and young adults to decide how to spend $1 million of the City of Boston’s capital budget. 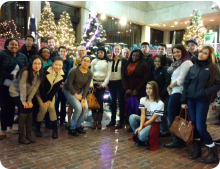 In January 2014, the City of Boston launched the first youth participatory budgeting process in the US. Through this process, called Youth Lead the Change: Participatory Budgeting Boston, youth propose ideas for improving their communities, develop the ideas into proposals, and vote on the best ideas. Young people also play a central role in the Youth Lead the Change Steering Committee, which oversees the process and determines its rules and structure. Projects funded in 2014 included improvements to the Franklin Park Playground, the creation of free wall space for local graffiti writers and visual artists, and the purchase of Chromebook computers for three local high schools. Youth will vote on 2015 proposals later this month. This month, we kicked off our annual partnership with the Boston Police Department to award over 100 summer camp scholarships to local youth. Boston Police officers work with YMCA staff to identify at-risk youth in need of positive summer experiences. This 15-year partnership encourages positive relationships with police officers and families. Together, we have sent over 1,500 kids to camp. This year’s partnership is made possible by a generous donation from the Paul and Edith Babson Foundation. Learn more about our summer programs and register online. Help send a kid to camp by clicking here.